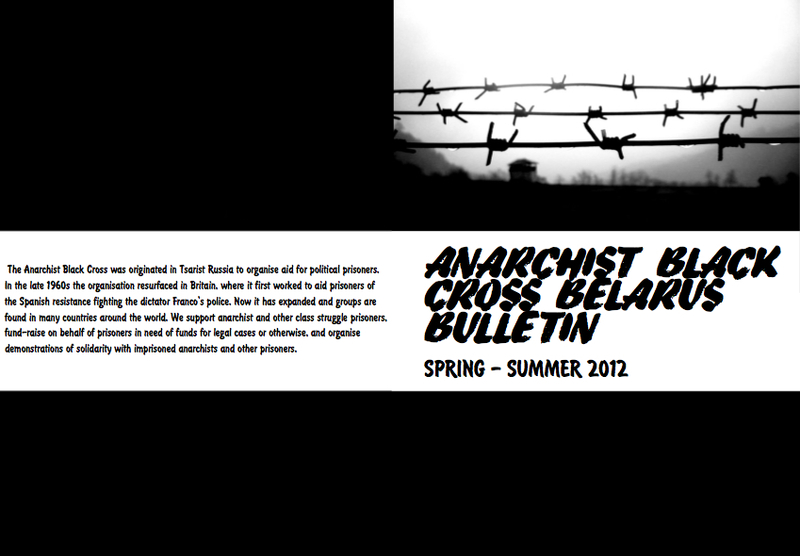 Bulletin of the Anarchist Black Cross - Belarus. Spring - Summer 2012. The bulletin explains the background to the arrest at the end of 2010 and consequential imprisonment of Ihar Alinevich, Mikalai Dziadok, Artsiom Prakapenka, Pavel Syramolatau, Aliaksandr Frantskievich and Jauhen Vas’kovich.